Basic economy: Are the savings worth it? More airlines will be offering basic economy seating, but will you buy these tickets? This Q&A may help you figure out when it’s worth it. Think of it as the opposite of premium economy class: You get less but you pay less. The cheaper, fewer-frills seats are a tactic for big legacy airlines to compete with low-cost carriers like Spirit and Frontier. Which airlines offer basic economy? Delta is the leader here; it began introducing basic economy seating in 2012 with a big expansion a couple of years later. Last week, American announced its basic economy will go on sale in February (“select routes” only). United will begin offering basic economy service sometime this year but no start date has been revealed yet. However, a few details about these frill-free cabins have been trickling out. What won’t you get in basic economy? No seat assignment until after check-in or at the gate. If traveling as a family or group, you may not be seated together. No eligibility for same-day changes or ticket refunds (outside the post-booking 24 hour grace period). Basic economy passengers board last and cannot even pay for early boarding. No paid or complimentary upgrades or preferred seats, even for elite miles members. Both American and United have released one controversial lost frill that so far Delta has avoided: American and United will not allow basic economy passengers to use full-size carry-on bags. 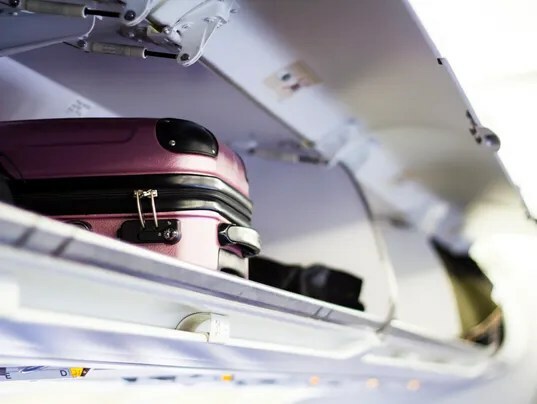 They will allow one small item that fits under the seat and that’s where it must stay because basic economy passengers have no access to overhead bins. And when they say one small item, they mean it: Those planning to board with a laptop, a purse and a backpack or some other small clothing bag will have choose one; the rest must be checked, and yes, there’s a fee for that. Is basic economy worth it? So far, we only have Delta fares for comparison purposes; here are some round-trip fares found Jan. 9 for travel in March. The first price is basic economy, the second is regular economy. Is it worth it? Passengers opting for no-frills fares are not going to get rich off the savings but sure, it’s worth it so long as you don’t care where you sit, when you board or what you pack. Families of course could save even more but may have a harder time justifying basic economy because of the seating and boarding requirements. On the other hand, unlike Spirit and Frontier, Delta’s basic economy does provide customers with free soft drinks and snacks, and allows regular carry-ons for free. As for American and United, some will surely be watching the cheaper fares closely to see if they will be worth the inconvenience of the no carry-on rule, as well as the baggage fees.